Well this can be seen as a highly debatable subject area, and even to me it has many grey areas which I am unsure upon. I finally got my speeding fine through, thanks go out to Wiltshire Safety Camera Partnership. After my court case which I plead guilty to by post… 4 points and a £205 fine. There is some very interesting information at Safespeed and at abd.org. The story started on the 24 September 2005 when on my way to a friends wedding in Cirencester in Wiltshire. I could even remember the recent M4 protests that were happening recently at the time over the speed cameras on this road. It started when Wiltshire Safety Camera partnership illegally imposed 5,600 drivers £336,000between them in fines and were made by order of court to refund all the fines given. Obviously this local company had just lost nearly half a million pounds and had to make it up. But instead of targeting the areas where road injuries and fatalities occur, on local town roads where children and pedestrians are prone to be. They decided to spend the biggest amount of their resources on the M4. Reasons for this could be the fact that the Wiltshire Safety Camera Partnership need local public backing to operate and if they only fined local drivers their backing would sharply drop. So for a quick and easy way to claim back all their money they lost they thought they would target one of the safest roads in Europe the M4. Anyway enough of the background, whether or not the cameras should be there or not is a matter for the public to decide. The fact of me speeding on the M4 and getting caught by a speed camera is fair and square, however I duly insist that my speeding was not a danger to myself nor other road users and the fact that I honestly believe Wiltshire Safety Camera Partnership are there ONLY for revenue generating and not for public safety. If they were there for public safety they wouldnâ€™t be sneaky and use an unmarked van! I was actually following other traffic at the same speed, where the vehicle in front actually instantly slowed down almost causing an accident. So when does a Wiltshire Safety Camera Partnership white van with no markings or signage become a road safety deviceâ€¦ I have no idea. If they want to protect road safety I donâ€™t understand why they donâ€™t use marked vehicles and at least target areas which are accident prone. Nice to see that Wiltshire are still targetting vehicles by aiming just underneath it. Their instruction manual reads , “One item that should be emphasised here is that it is important to keep a constant aiming point or in other words to keep the â€˜red dotâ€™ just above the aiming area of the vehicle for the full 0.3 second measurement period.” or so I am told. 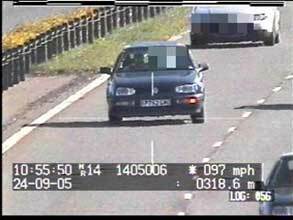 So which speed camera detector did you purchase in the end and has is proven to be a good investment? Is it possible to request footage/clips from these cameras? An accident on M4 on 4th April was apparently caused by driver swerving into outside lane without looking. Can insurance companies or the victims ask for footage? just checked both my vehicles on the camera database. Both have been speeding and caught on camera at locations where they have not been!? This is just typical of the government speed camera scam. If speed cameras were intended to cut crashes, then they would them in the most dangerous spots on the most dangerous roads….but they don’t….nuff said! Wiltshire are by far the most prolific stealth tax collectors in the whole of the UK. Often officers will lie through their teeth in court to obtain a conviction. There is a means to getting the ‘snap’ they will use to prosecute you and a search of google for the word Pepipoo. Everything you need to know will be provided if you face prosecution by those that have trod the boards of the courtrooms before you. They have a wealth of experience and will help you. Some local authorities Swindon in Wiltshire is one of them is telling its safety partnership to remove cameras. The tide is slowly turning and people are starting to see them for what they are stealth tax collectors. Have you seen the latest scamera vans? Four cameras giving full 360 degree coverage so they can get you as you approach, pass and drive away. No chance of missing a number plate, especially for bikes. The cheating bar stewards. I received a one page document claiming Go-Safe, Caerphilly South Wales (better known as Go-Get-Money -At -All-Costs) had not received my response. How you respond to a communication you don’t receive is a mystery. However, asking for the original documents fell on deaf ears and photographic evidence turned out to be woman in another car. Pointing this out made me think this matter would close but sadly not. Go-Safe decided to apologise in writing and confirm I was the vehicle behind the lady they couldnt identify clearly but supplied another set of photos. Comparing both sets of photographs the cars were photographed at 09.34, at 306m distance but appeared in two different road positions. Questioning how this could be Go-Safe claimed the speed is a profile not actual – so I was not travelling at the claimed speed? Go-Safe’s answer – don’t care gives us £60 and have 3 points or else. I challenged this decision asking simply if the correct procedure is being adhered to and the evidence is enough for a conviction? Go-Safe answer – get to court. In my opinion this sham government departments objective is clear – nothing to do with improving safe driving, just make sure the money is collected off the working public. By the way, my speed was 37 in a 30 – sums the persistence up.